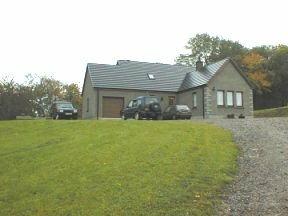 Comfortable well equipped house all on one level, set in tranquil surroundings on the edge of a farm. Two miles from Craigellachie, 6 miles from Aberlour & Dufftown. Nine miles from Keith. This is Whisky and Castle country with golf, walking, riding and fishing near by. Shop pub & hotel 2 miles away. Aberlour has a new Co-op supermarket. One single, 1 twin & 1 double room, sleeps 5 in total. 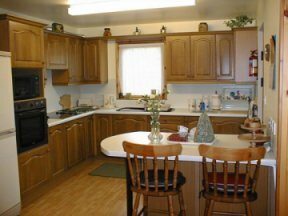 Fully fitted dining kitchen (fridge-freezer, electric hob and oven, microwave). Bathroom (corner bath, toilet & bidet), shower-room with toilet & wash hand basin. Lounge with radiant fire. Utility room, with tumble dryer & washing machine, connecting to garage. Heating and hot water are by oil with radiators in all rooms. All electricity, towels & bed linen are provided. A cot and high chair are available on request. Garden furniture & barbecue on patio. NO pets and NO smoking!